Guests will find many attractions within walking distance of the Queenstown Gateway Apartments. They will be only 100 meters from the Frankton Shopping Center, which boasts stores and eateries. The apartments are only 6 km from the town center. The accommodation offers 19 rooms. Guests staying at the Queenstown Gateway Apartments will be able to choose from one, two, and three bedroom apartments that are fully serviced. The rooms contain amenities like bathrooms, plasma TV, and phones. 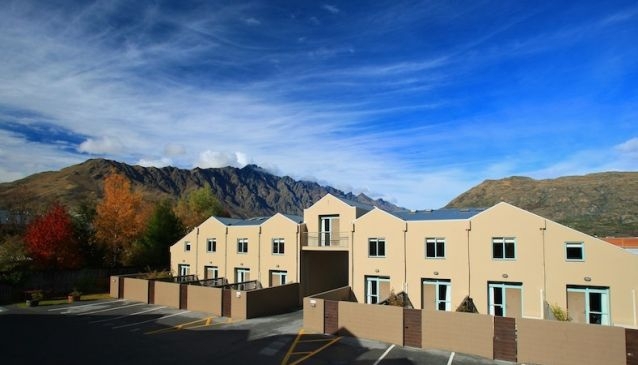 When staying at the Queenstown Gateway Apartments, guests will find that the hotel staff can help them book tours. Continental breakfasts are available on request.